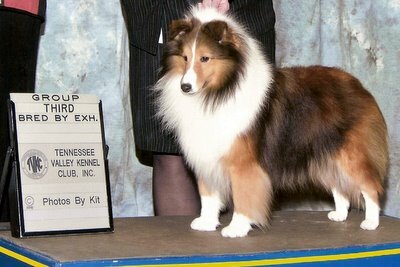 River is owned by Sheila Kitchens of Tyne Shetland Sheepdogs and is co-owned by Alpenglo. He is proving to be quite versitile. 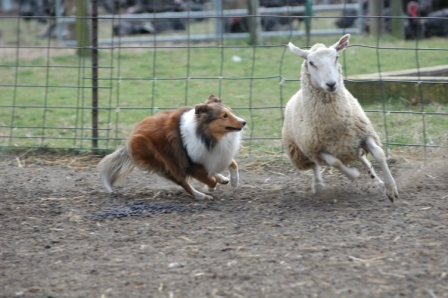 Watch for him in the breed ring, herding and in the agility ring. Achievements: River has 6 points with a BOB over Specials and a Bred By Exhibitor Group 3.